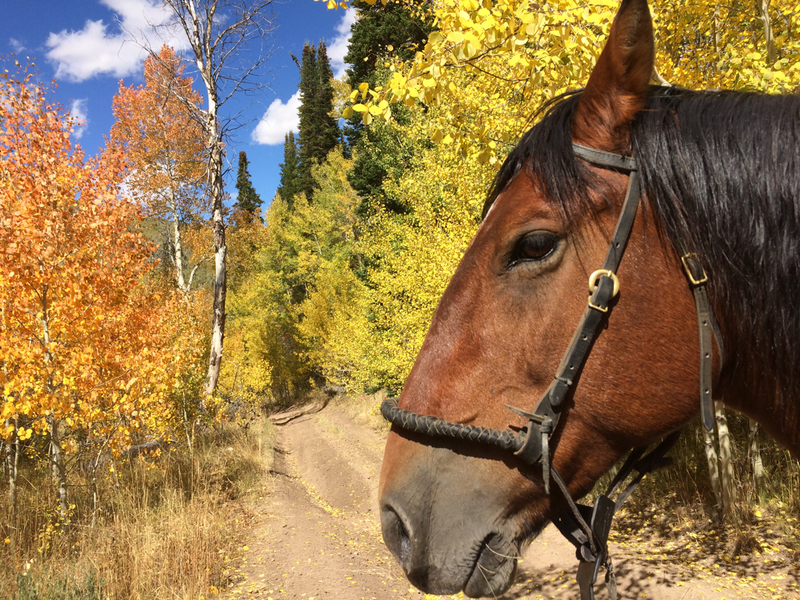 ​Aug Issue - "Happy Trails to You, Until We Meet Again"
​In the August Issue of Wild Heart Mustangs™, Samantha shared an article on her preparations for this long ride. Over a year in the planning, she departed on this, her longest ride ever, over 1100 miles around northern Nevada. 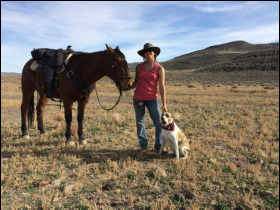 Samantha, Sage and Bella (with the only support of Samantha's husband, Ryan, have been on the trail since August 11th on a long ride to promote awareness and encourage adoptions for BLM wild horses in holding facilities. Sage was one of these horses, and is now and ambassador for the over 50,000 horses and burros still in need of homes. 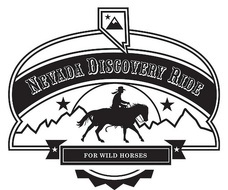 Visit www.NevadaDiscoveryRide.com to learn more and to follow Samantha and Sage on this incredible journey. Estimated date of arrival in Reno, NV is around October 22nd in Lemmon Valley Horseman's Arena (11400 Deodar Way, Reno, NV). ​As Ryan likes to say, "We are finally going in the right direction!" Yes, after passing our halfway point in Jarbidge we are on a westward course across northern Nevada to make our way back to Reno! Our ride to Jarbidge was some of the toughest terrain so far, but absolutely spectacular! We rode 20 miles through the Jarbidge Wilderness on a tiny pack trail. We didn't see a single other person and felt like we had the place all to ourselves... with the exception of all the elk we saw! Sage is an elk magnet. We have seen so many on this trip. They are magnificent (and a little scary). We rode through the tiny town of Jarbidge which was quite exciting for the residents. (One lady told me it's been a long time since someone rode a horse through town!) And then we endured even more challenging riding, climbing several mountain peaks. It was tough going but worth it for the incredible views we received. Samantha and Sage...On Top of the World! ​The past couple days stormy weather caught up to us again. Today we rode in the rain almost the entire day, but luckily I had all my waterproof layers. Sage was grumpy about it but he pulled through. Some of you may have heard that we had a little accident last week. Sage got tangled up in some downed barbed wire. It was very scary. He suffered some punctures and lacerations, but it was an absolute miracle that the wounds were superficial. He's healed up now, but boy was I worried. Lastly, I have to give a huge shoutout to the world's greatest trimmer - Cindy Nielson from Reno. She drove nearly 12 hours to meet us in Jarbidge so she could trim Sage's hooves. I am so grateful! We're trucking along - about to drop down into the Owyhee Desert. I'm looking forward to seeing that country (and hopefully some wild horses). Otherwise, all is well. Everyone is doing fine and morale is high! Thanks for all your support! There has been a great deal of media covering the proposal by the Bureau of Land Management Wild Horse Advisory Board for euthanasia or adoption of the 45,000 plus wild horses in holding facilities. It is important to understand the complicated quagmire in it's entirety. It is understandable for people to outraged and upset. Many of the articles I have been seeing have been edited and misrepresented about what, in fact, is truly happening to not only the wild horses, but out on the rangeland. 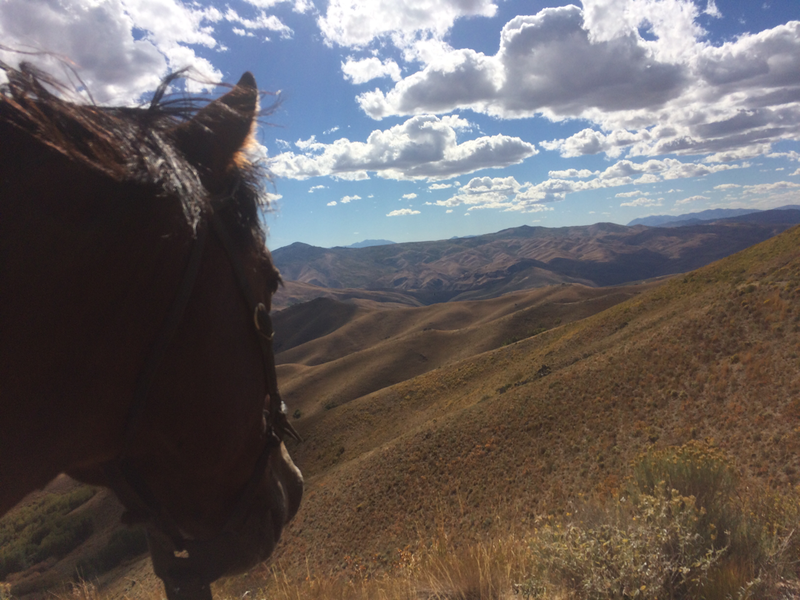 I am sharing this Trail Note from Samantha Szesciorka's Nevada Discovery Ride page because she has seen first hand the conditions of the range AND the wild horses while riding over 1,000 miles across Nevada - a state with more wild horses, by far, than any other. Her observations and comments are objective, honest and experienced. We are getting a slow start today and I happen to have enough cell service to catch up on what's happening in the world and I am reading A TON of controversy over the recent Wild Horse and Burro Advisory Board meeting and their 8-1 vote to recommend euthanasia of 45,000 horses in holding facilities. What a quagmire. I want to say a few things based on what I've seen during my current long ride. As many of you know, Nevada is home to more wild horses than any other state. Riding 1,100 miles around the state at 3mph is a great way to really see what's happening on the range. I have definitely ridden through places that were dominated by cattle where springs (and good campsites) were cowed out. And I have also ridden through areas that were dominated by wild horses. In fact, one of the things mentioned in a lot of articles about the WH&B (Wild Horse and Burro) meeting is their visit to the Antelope HMA (Herd Management Area) - an area that I just rode through and camped in. Some of the board members have said in interviews how overpopulated the area is with horses - and I can tell you based on what I saw just the other week, it is. I was absolutely shocked at the number of horses I saw in the valley and in the ranges surrounding it. I've never seen anything like it. They have completely dominated the landscape in that area - you can physically see it in the grasses (or lack there of), the sheer number of horse trails, and the area around the limited water sources. Even I - an ardent wild horse lover - was forced to admit that it was too many horses. In fact, when I was finished with my ride I was planning to ask the BLM (Bureau of Land Management) what the heck was going on out there. One thing that seems to happen though is that Nevada gets painted with a broad brush - people think what's happening in one area is happening in all areas. Each basin and range in Nevada is unique. Some places are cowed out and some are horsed out. It's just the reality. It's very easy to read an article and criticize but until you have been out on the range and seen the evidence for yourself then you just can't know what's actually happening. So, yes - in some places there are too many horses. In others, there may not be. It's not as simple as cows vs. horses, and it's not as simple as overpopulation or "on the verge of extinction" as some advocates like to say. Now, onto this euthanization business. First of all, the board's vote is merely a recommendation to the BLM. It does not mean the BLM will go out and kill all the horses in holding facilities. But it is shocking to think about. It should be. And I think it was meant to be. But, as I have said over and over again and tried to emphasize with my rides - there are too many horses in holding facilities being cared for at taxpayers expense. Essentially you and I pay millions of dollars to warehouse horses for the rest of their life. It is costly, it is growing, and it is not sustainable. Those horses WILL NEVER be returned to the range. So what can be done? Everyone is up in arms about this vote, but how many of those people are actually going out and adopting from a facility? That is literally the only alternative to warehousing them forever or euthanizing them. Get those numbers down (in population and cost) and then the BLM can work on better management on the ranges, like the one I mentioned earlier. Those horses will be rounded up eventually and then they'll just end up in holding facilities too. I was so excited that adoption numbers were up last year, but they weren't up by a staggering amount. They certainly weren't anything close to the historic highs. Go adopt a mustang. 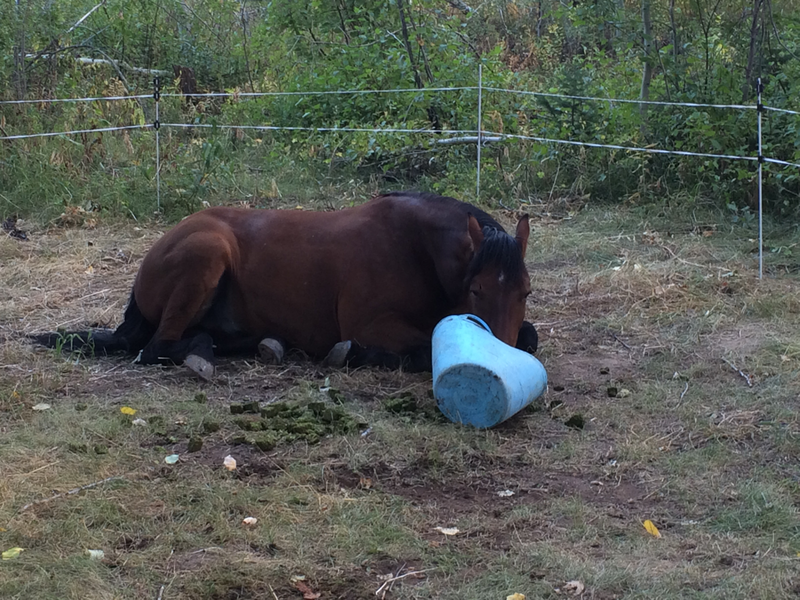 Stop breeding your backyard ponies. And reserve your anger not for a board made up of volunteers, but for the bureaucracy that has allowed this situation to develop over time.